I am in love with Portugal! My husband think it is because it was my first experience in Europe. Maybe… The only thing I know is that I want to go again and again. 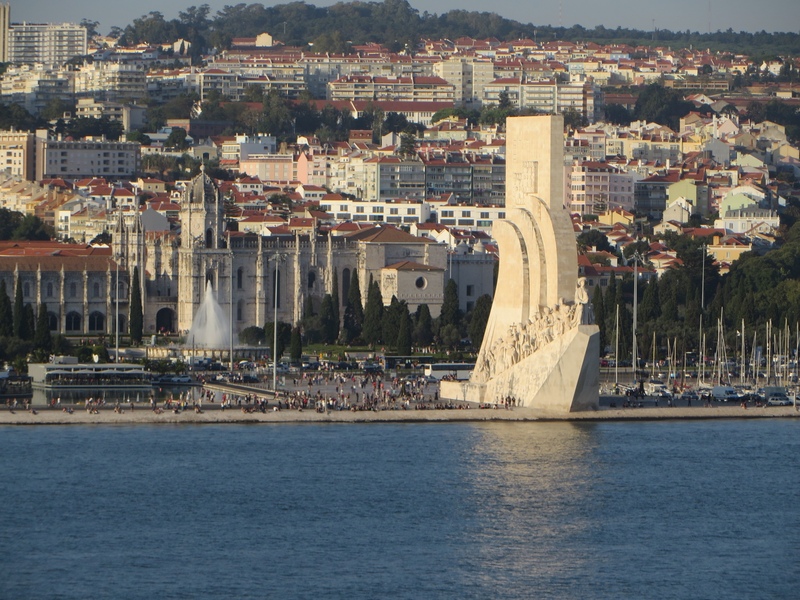 Well next time I go I want to explore the south coast, traveling on car from Lisbon to Algarve. 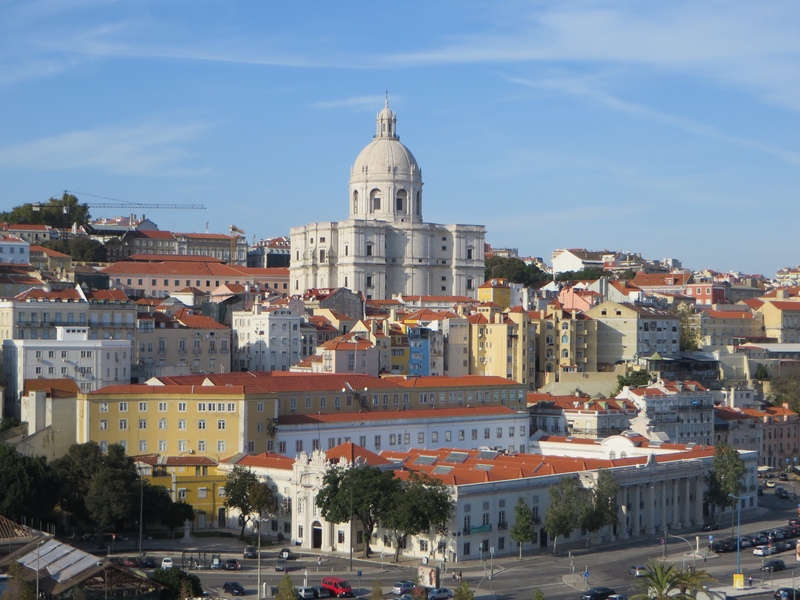 We had the chance to visit Lisbon briefly this time (our 2nd time), only for a day. 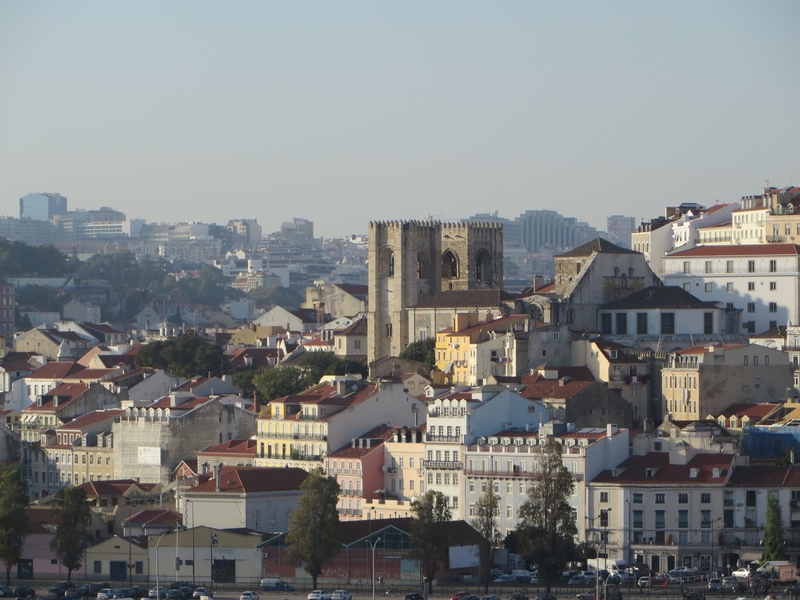 But we were able to see Lisbon particularly from another angle. 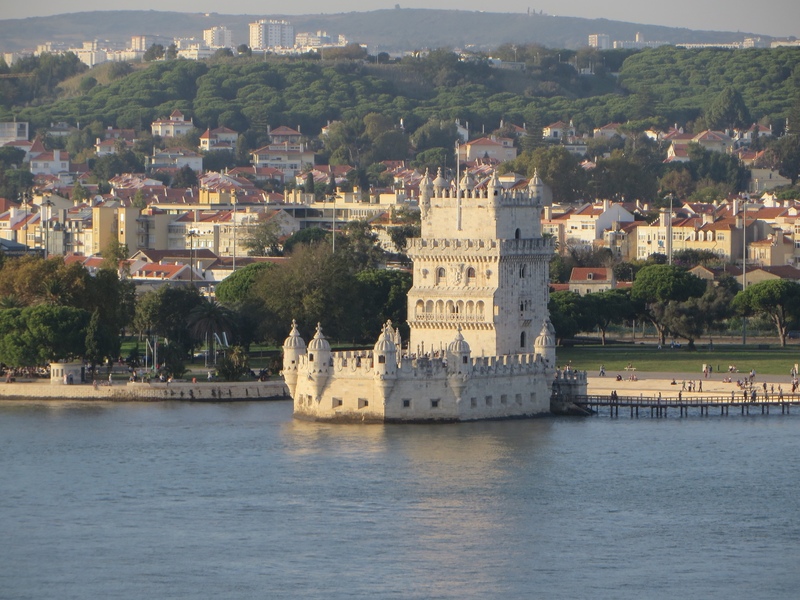 Places that last year we saw with details, that we visited personally like the Monument Of the Discoveries, the Lisbon Cathedral, Sao Jorge Castle, the Belem Tower and other things, this time we admire them from another angle, from the water side. 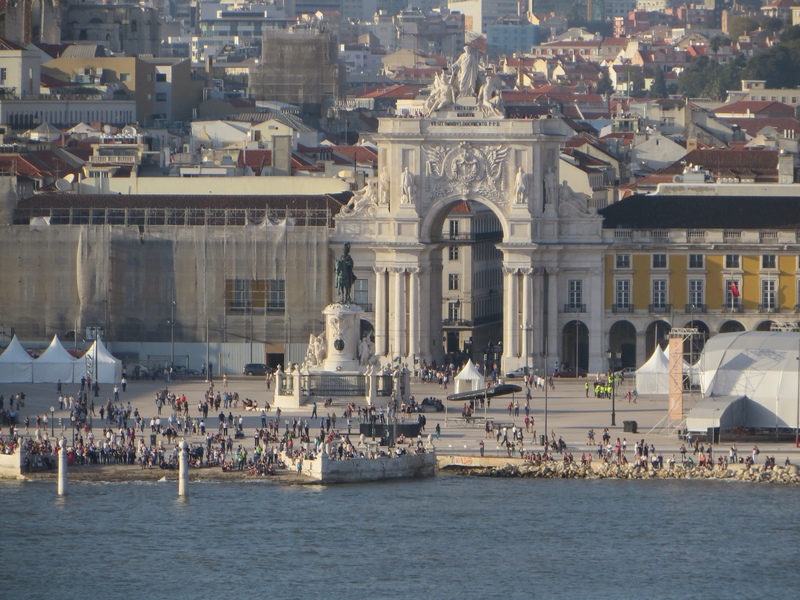 We left Lisbon in the afternoon. 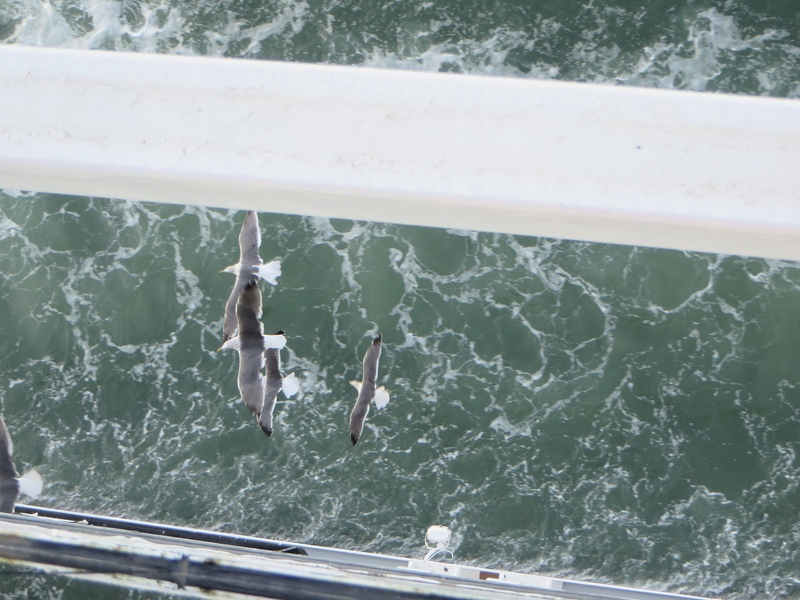 We went to the top deck of our cruise, along with everybody else to wave goodbye to the vibrant old city. 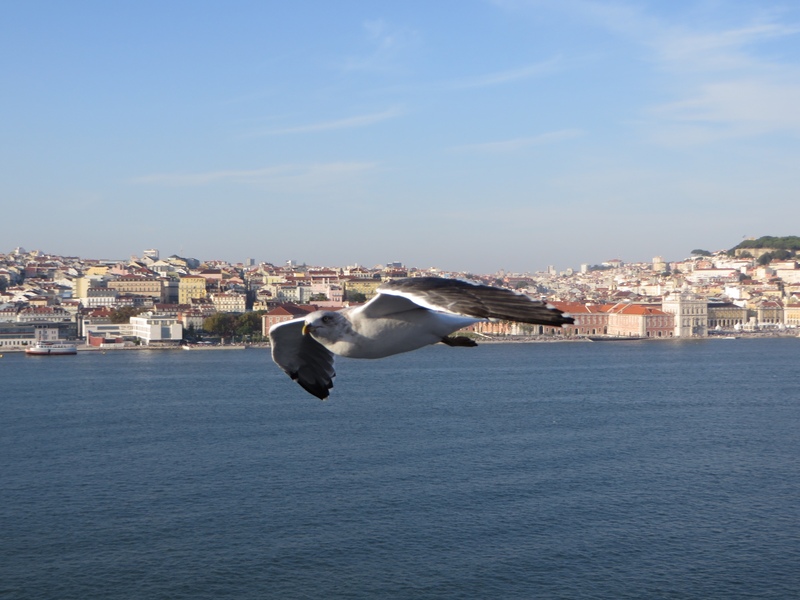 While our ship sail slowly through the Rio Tejo (Tagus River)toward the ocean, seagulls display an airshow for us. 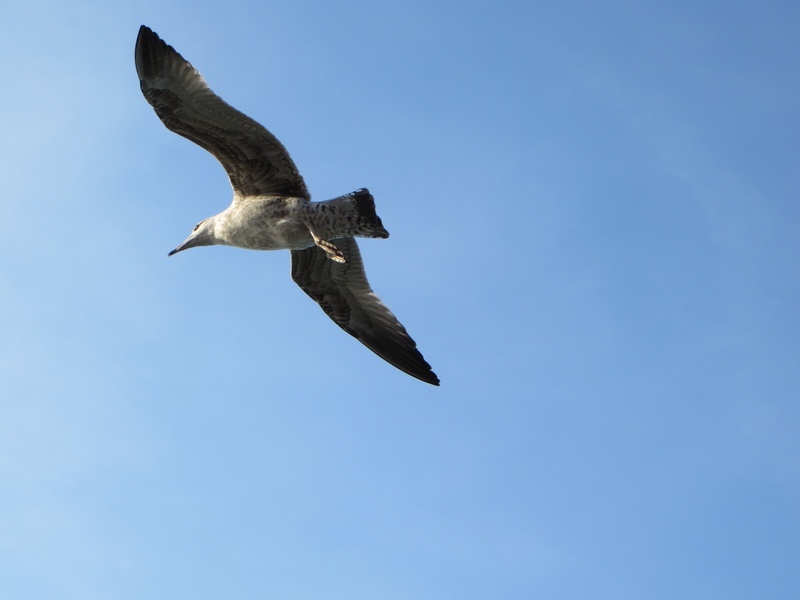 They flown so close to us, that you can even see into their eyes. 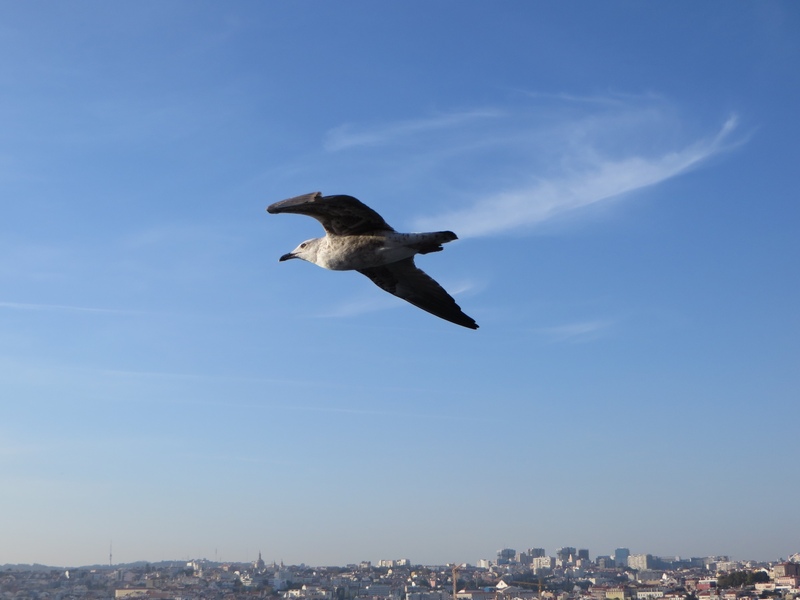 Check the video and see with me the 25 Abril Bridge from another angle!! Excuse the wind noise… I tried to reduce the sound or at least I thought I did. Portugal is an amazing country!! I hope you go back and stay longer… there is so much to see there 😀 great pictures by the way! I wish too! 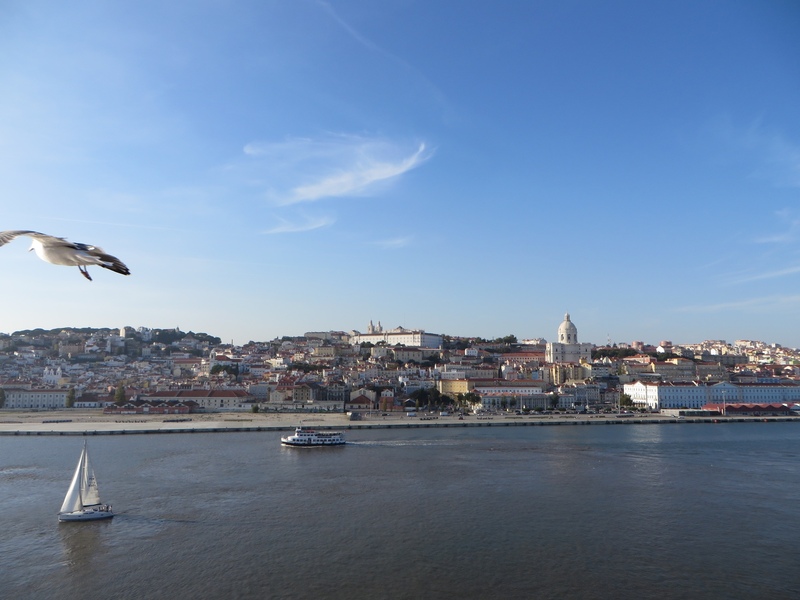 Last year we stayed a week, this year we only were there for a day… I want to travel from Lisbon to the Algarve. I am hoping that sometime in 2015 I would be able to go. Will see… Still so much places I want to go and so little time that I have for traveling. Thank you so much for your comment! 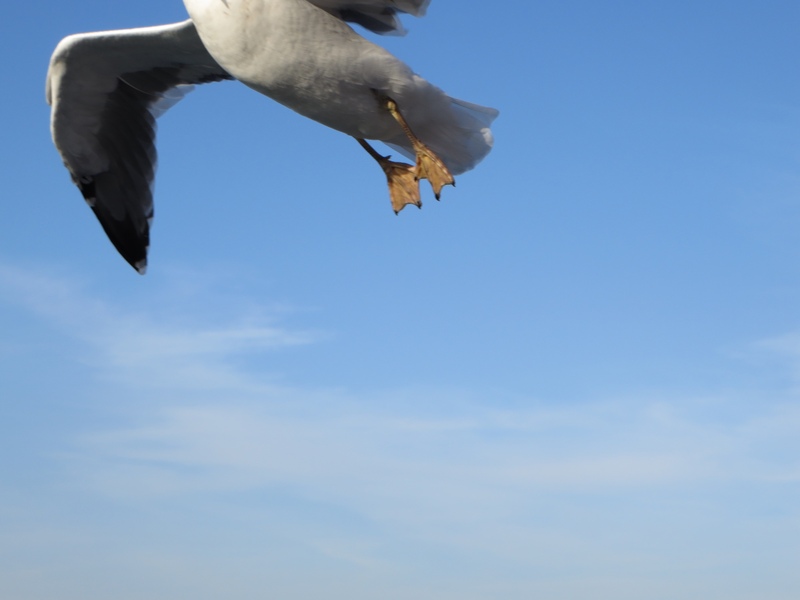 Ohhh yess, I heard Algarve is also amazing… some of friends went there and loved it! You’re welcome, my pleasure! I wish you a great week! These are great shots! Wow! 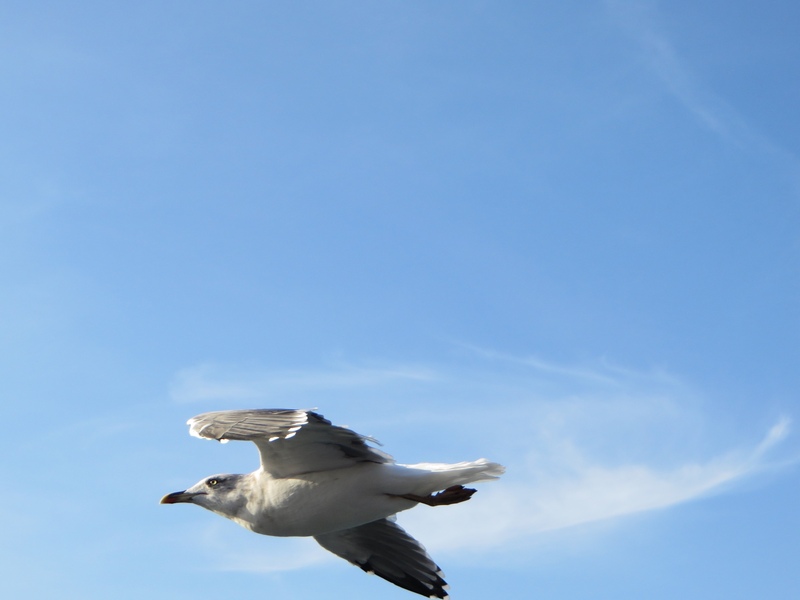 The sea-gulls were so close to us!